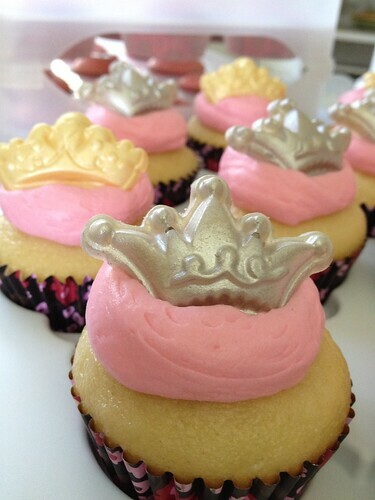 Pretty pink princess cupcakes, courtesy yeasaris. "Coconut cupcake with coconut custard filling, cream cheese frosting, and homemade gold/silver tiara decorations." More cupcakes shots here and here! Simple, and pretty what Princess wouldn't want one.